Anaheim is another city planning a streetcar line, in this case from the Amtrak/Metrolink station (and planned high-speed rail station) to Disneyland. Disney is reportedly enthused about the project, since otherwise it might have to provide its own buses. The consultants planning the streetcar have also no doubt convinced Disney that the streetcar is “high-capacity transit,” a term that is naturally used numerous times in the city’s alternatives analysis. 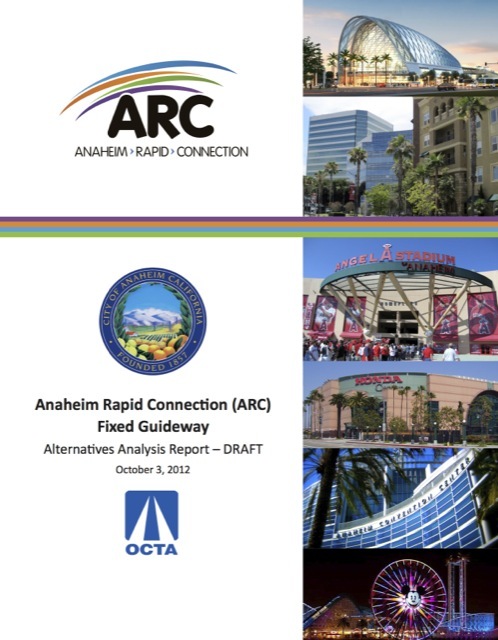 Maybe it is due to my poor Googling skills, but I haven’t actually been able to find a page on the city of Anaheim’s web site linking to the alternatives analysis. However, I have found individual chapters of the analysis, including the executive summary, chapter 3: transportation analysis, and chapter 7: comparison of alternatives. If you want to download any of the other chapters, read the table of contents and then copy and paste http://www.anaheim.net/images/articles/4947/ChapterX.pdf into your browser, substituting the number of the chapter you want for the X. 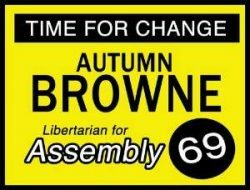 The Antiplanner’s perusal of the alternatives analysis reveals several major problems. The streetcar is projected to carry a few hundred riders per day more than a bus alternative. Consultants have told the public this is because potential transit riders prefer rails over rubber tires, but the alternatives analysis says it is solely because the streetcar has a “modest time advantage,” namely that it is expected to make the journey in 18 minutes instead of 20. Why is the streetcar faster? Because planners have unaccountably crippled the bus alternative by routing the bus on a longer route. While the streetcar goes straight from Disneyland to the train station on Katella Avenue, the bus route first travels 0.3 miles south to Gene Autry Way then back north to Katella. If the bus route had taken the same route as the streetcar, they both would have taken the same amount of time and the streetcar would have no ridership advantage. Table ES.4 on page ES-20 of the executive summary (which is all that most people will read, if that) says that the streetcar will attract 1,000 more riders per weekday before the high-speed rail line is built and 1,400 more per weekday after. However, buried deep on page 7-10 of the alternatives analysis is another table showing that total transit ridership in the corridor will only be 600 more trips per day with the streetcar before HSR and 900 more trips after. Apparently, 400 to 500 of the streetcar trips are merely drawn from existing bus routes. Planners call the streetcar the “Anaheim Rapid Connection,” but “Anaheim Slow Connection” would be more accurate. Table ES.4 of the executive summary gives an average speed for the enhanced bus of 13 mph and the streetcar of 14 mph. I don’t know about you, but I don’t consider 13 to 14 mph to be rapid; I can cycle a century faster than that, and I’m 60 years old. To make matters worse, someone miscalculated. Dividing the distances in miles given in table ES.4 by the travel times in tables ES.1 and ES.2 results in average speeds of 10.3 mph for the bus and 10.6 mph for the streetcar. Most streetcars actually have average speeds of 6 to 7 mph, so even these speeds seem optimistic. In any case, the speed difference between bus and streetcar is trivial; as I say above, the main difference in travel time is due to the bus route’s longer distance. Anaheim streetcar planners often imply that the streetcar will reduce congestion, but the opposite is true. Although the executive summary prominently displays the number of auto trips that will supposedly be saved by the streetcar, readers have to turn to tables 3.10 and 3.13 in chapter 3 to learn that the streetcar will actually make congestion significantly worse. Table 3.13 shows that the streetcar will reduce road capacities by about 1.5 percent. This is equal to more cars that the streetcar will take off the road. Curiously, table 3.13 shows the number of cars on the road in the no-build alternative, but not the streetcar alternative. However, that number can be calculated, and lo and behold, on eight of the eleven streets in the table, the number of auto trips per day actually increases. Thus, the streetcar worsens congestion both by reducing road capacities and by increasing traffic. The analysis doesn’t say why there will be more auto trips with the streetcar, as planners probably hoped no one would notice. The alternatives analysis was written before the Department of Transportation published its revised cost-effectiveness rule, but the writers gleefully anticipated a less-stringent rule. “When evaluating cost-effectiveness for federal funding, the Streetcar Alternative will rate significantly higher under the anticipated revised New Starts criteria than under the former rating system,” the analysis says on page 7-16. The new rule effectively allows agencies to not even calculate cost-effectiveness. Fortunately, there is enough information in the alternatives analysis to make such a calculation based on the cost per new rider. This is the sum of the annual operating cost and the annualized capital cost of an alternative divided by the number of new riders that alternative attracts. The most recent DOT rule specifies a 2 percent discount rate for amortizing capital costs, and I chose to amortize them over 30 years. Based on this, the cost for each new rider under the bus alternative is about $17. The cost under the streetcar alternative is $37. Relative to the bus alternative, the cost of getting a few additional riders with the streetcar is %67 per new rider. I’ve seen plans for improved bus services that generate new riders for $1 to 5, so at $17 per new ride, even the bus alternative isn’t very cost effective. But it is far more cost-effective than the streetcar. Chapter 7, the comparison of alternatives, often makes statements like, “The streetcar alternative removes more cars from the road than the enhanced bus alternative.” But it also costs far more: nearly double the operating costs and more than six times the capital costs. For far less money overall, they could start two new bus routes that would attract nearly twice as many new passengers as the streetcar. That’s what cost-effectiveness is all about, but even though chapter 7 has a section titled “Cost and Cost-Effectiveness,” it doesn’t actually make such a comparison. Beyond this, the frequent references to “high-capacity transit” are just as misleading as the project name of “Anaheim Rapid Connection.” Buses have more seats that streetcars (typically 40 in a 40-foot bus vs. 30 in a 66-foot streetcar) and use less street space. While streetcars have more standing room, buses could operate at greater frequencies and still have lower capital and operating costs than the streetcar. I haven’t looked at the methodology used to estimate ridership, but the analysis projects that the streetcar will attract more than 1.2 million riders per year before high-speed rail. Since fewer than 600,000 people get on or off trains at the Amtrak/Metrolink station, I have to wonder where all those other streetcar riders are going to come from. Do planners expect to double Amtrak and Metrolink ridership? Do they expect every single Amtrak/Metrolink rider will take the streetcar? I realize there are other station stops between the train station and Disneyland, but these aren’t expected to generate anywhere near as many riders as the end points. In the end, this is just a giant taxpayer subsidy to Disney. When Google and other Silicon Valley firms operate their own private bus fleets, you have to wonder why anyone thinks Disney deserves this taxpayer handout. Ironically, Walt Disney himself refused to accept government support, even going to far as to pay extra to buy electricity from private power companies rather than the public power company that nominally served the area around Disneyland.